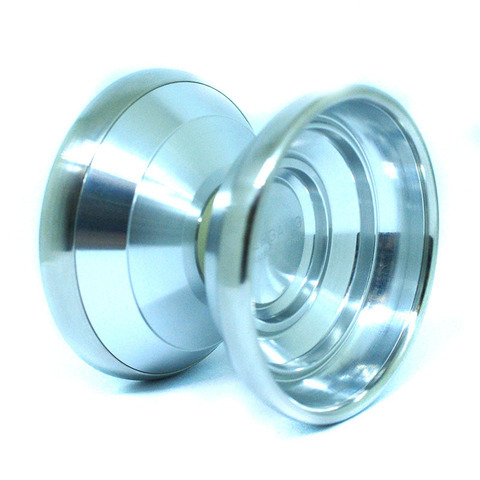 A highend bi-metal yoyo is available now!!! Vulfgang is a heavyweight, wide-bodied bimetal masterpiece. Even among other wide-bodied bimetal yo-yos, the Vulfgang stands out for its pure power. 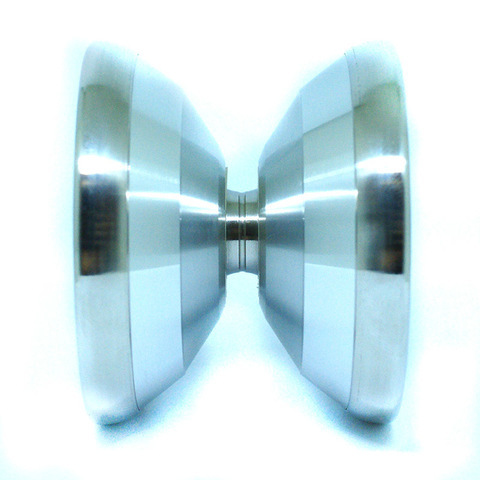 Bimetal designs already exceed the limits of monometal yo-yos, but with the extra wide body and weight distribution, the spin potential is off the charts. You would expect such a wide yo-yo to have issues with stability, but Magic YoYo has worked their magic to create an amazingly stable, yet maneuverable throw. It has the sense of mass and power, but also responds so handily to your controls. The profile is a fusion of straight and H-profile, with a complex step structure to it, which fits amazingly well into the hand, while the rounded edge of the outer rim gives it a nice soft catch. Look for the ripples on the side face, we think you'll be impressed by the presence the Vulfgang has.